A full arch replacement is a way for individuals with all their teeth or most of their teeth missing to effectively and efficiently receive a beautiful, functioning set of teeth once again. Full arch replacement is a long-term solution for many who are insecure about their missing teeth or simply want to restore the health and function of their teeth to a more appropriate level. By understanding exactly what full arch replacement is, who it is for and how the process works, you can make an informed decision as to whether it is the best teeth replacement option for you. The following is everything to know about full arch replacement before deciding upon treatment to replace missing teeth. What is full arch replacement? Full arch replacement is a process to restore a person’s set of teeth back to full health and function by using dental implants to attach a denture or a bridge in the space left by missing teeth. Dentures and bridges can be suitable options for many, but they may not be as permanent of an option as full arch replacement. On the other hand, dental implants can be a more invasive procedure, especially when using single implants to fill a large gap of missing teeth. 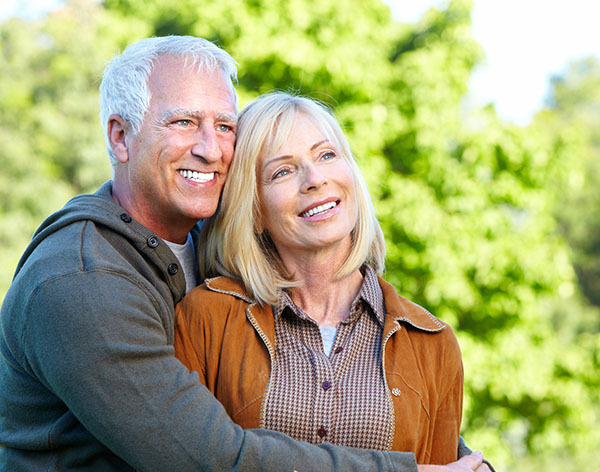 Full arch replacement provides an effective solution to the drawbacks of dentures, bridges and single implants, while still providing the benefits and strengths of each one. Who is full arch replacement for? Full arch replacement requires the placement of multiple dental implants, which requires a surgical procedure. Therefore, it is important to be in good overall health, as well as good oral health, before receiving a full arch replacement. Full arch replacement is meant to be a permanent solution and may not be removed, as is the case with dentures. Therefore, those who use tobacco on a daily basis or grind their teeth may have a more difficult time caring for their full arch replacement. However, full arch replacement is perfect for anyone who is willing and able to undergo a surgical procedure and multiple dental visits to achieve the smile and teeth of their dreams. Full arch replacement requires several steps over the course of several months to implement. While the process may seem long to some, the end result is a beautiful, permanent set of replacement teeth that look, feel and function just like natural teeth. The first step toward full arch replacement is to schedule a consultation to determine whether full arch replacement is the best option and what accommodations need to be made for the patient during the process. After which, the implants (which usually include anywhere between two to four, depending on the amount of area the full arch replacement is needed to cover) are placed into the jaw. After the implant bonds with the jaw, the bridge or permanent denture can be placed, which leaves the patient with a full arch replacement of beautiful, functioning teeth. Are you considering full arch replacement in the East Orange area? Get more full arch replacement information at https://www.qualitygentledentalcare.com. « What Does it Mean if it Hurts When I Bite Down?